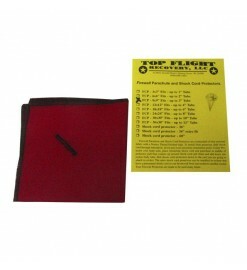 Fireproof aramid fabric (Nomex) parachute protectors for body tubes up to 75 mm in diameter. 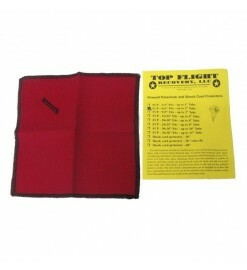 They fit on the shock cord and wrapped around the parachute it, protecting it from ejection gases. Nomex up to 23 cm There are 3 products. 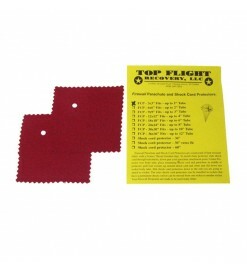 Aramidic flameproof cloth (Nomex) sheet to be installed on the parachute shock cord to protect the parachute from hot ejection gases. It lasts forever, can be washed and it is very efficient.